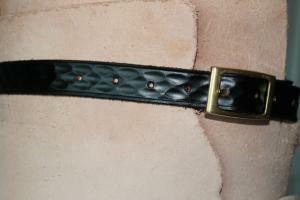 Made from strong and durable 2.5mm thick vegetable tanned leather. Decorated with a hand stamped texture pattern. 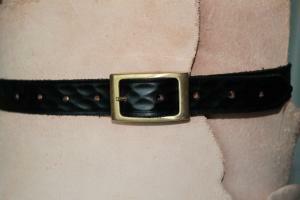 This belt is finished off with a brass buckle which is riveted in place. 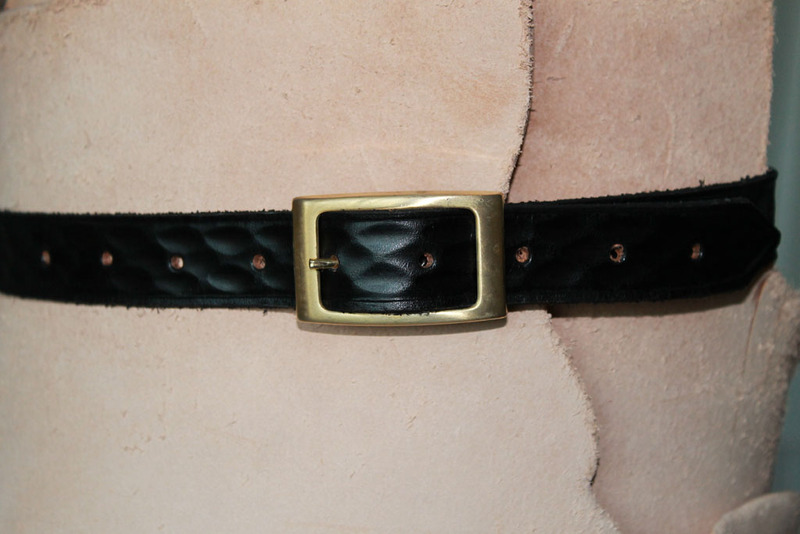 Belt length 31" - 33"